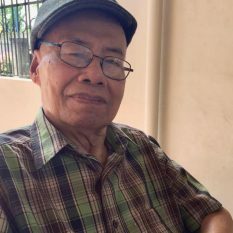 On March 17, 1933, in Tabuyoc, Binalonan, Pangasinan, Philippines, Andres Castro “Andy” Valenzuela was born to parents Francisco “Ecoy” Valenzuela (1904-December 2002) and his wife Marina “Maring” Valenzuela. Two years later, Andy became the elder brother to late Rev. Patricio “Patring” Valenzuela (1935-2007) who was also a Pastor in the Church of the Nazarene in the Philippines; Pastor Pedro “Pedring” Valenzuela, Assistant Pastor of the Tabuyoc Church of the Nazarene; and Felipe “Peping” Valenzuela. However, Andy wasn’t born into the Church of the Nazarene. Initially, his family was Roman Catholic and he converted later. Missionary Rev. John Pattee encouraged Andy to enroll in the nd class of the Fitkin Memorial Bible Training School (now Philippine Nazarene College) after graduating from high school. By 1953, at the age of 20, Andy started studying at Fitkin Memorial Bible Training School, what is now Philippine Nazarene College. As a student, he was involved in planting a Church of the Nazarene and pastoring another. In March of 1958, Andy graduated Bible College and was among the first seven Filipino men who were ordained as elders by General Superintendent Dr. Hugh C. Benner during the 4th Philippine District Assembly and the 10th anniversary of the founding of the Church of the Nazarene in the Philippines. At 25 years old, Rev. Valenzuela was the youngest of those ordained. Right after his graduation and ordination, Rev. Andy was appointed pastor of the Caboroan Church of the Nazarene and served for 2 years with his younger brother, Patricio, who was a 4th-year student at the Bible College. On March 24, 1960, Rev. Andy married Ricareda “Rica” Verceles, just after her graduation from Nazarene Bible College. Rica also shared pastoral ministry, while focusing on music ministry with the children of the community. In 1961 Andy & Rica accepted the call to pastor the Church of the Nazarene in Agbannawag, Rizal, where their two children, Abner Perry Verceles Valenzuela, and Dr. Brenda Verceles Valenzuela, were born. During this pastorate, Rev. Andy founded the Tabuyoc Church of the Nazarene in his home province of Pangasinan in October 1966. 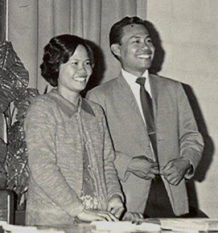 When Asia Theological Seminary opened in November of 1983, the Valenzuelas both enrolled in the first classes ever taught and pursued Masters degrees. After graduating from Asia Theological Seminary in 1986, Rev. Andy resigned as DS of the Metro-Manila District in March 1987. He received Distinguished Service Awards from the Metro Manila District in 1983, and from the Philippines Luzon District. The Valenzuela family migrated to northern California in 1987 to plant and pastor churches among the Filipino diaspora, and where they co-founded the New Life Church in Vallejo, California, serving there until they retired originally to Silverdale, Washington, USA in 2014. From 1991 Rev. Andy served as the USA-Canada Filipino Ministry Facilitator for the Church of the Nazarene until 2014. In June 2017 they returned to live in their hometown of Tabuyoc, Binalonan, Pangasinan. The Valenzuelas were honored in a special service at the Tabuyoc Church in August 2017 and were presented plaques by Philippines Nazarene College as outstanding alumni in October 2017. On the early hours of October 30, 2018, Rev. Andy met his Lord and Savior at the age of 85. His life was honored at his funeral a few days later at the church he had started and pastored, Tabuyoc Church of the Nazarene. Rev. Valenzuela is survived by his wife of 58 years, Rev. Ricareda Verceles Valenzuela and his two children: USAF Chaplain Lt. Col. Abner Valenzuela, of Dover, Delaware; and Dr. Brenda Valenzuela Fortune, a marriage counselor, of Silverdale, Washington; and 5 grandchildren.